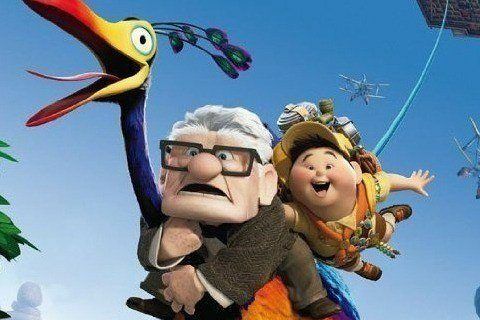 Academy Award winner and Pixar film about an old man who equips his home with balloons and flies to Paradise Falls, unintentionally taking a bothersome boy scout along the way. When Carl and his wife, Ellie, go picnicking, it is under the same tree as A Bug's Life. The film was the first to be nominated for Academy Awards for both Best Picture and Best Animated Feature.